– Grimes’ pal and musical cohort Doldrums to play Exit/In on 4.21 with Blouse. Listen to the song Chase The Tear (portishead cover) , which shared a split 12″ with Portishead themselves. – It’s a bird, it’s a plane, it’s a…blue balloon. 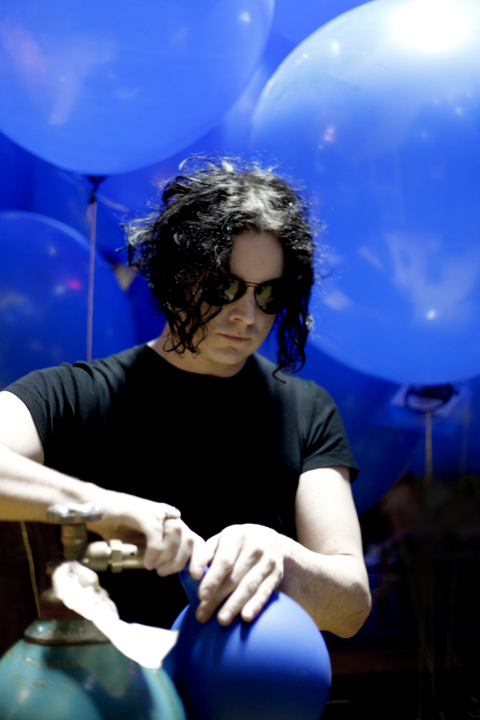 Yesterday, Third Man Records released 1,000 balloons with copies of Jack White‘s as-yet unreleased single, “Freedom at 21” (a funky, bluesy rocker with a White Stripes guitar line accented with psychedelic whirls of White’s top register) from the label’s headquarters. Those lucky enough to find one have been posting their discoveries here. The idea? To get people LP’s who usually don’t buy records. Which, in metro Nashville, is about 1/90000th of the population. Luckily those suckers were filled with helium and could likely make it out of Davidson county (actually, a couple already have). Also released via video were details on TMR’s Record Store Day special offerings, which will include singles from White, Karen Elson, Jerry Lee Lewis and more. Check out the full video after the jump. – Some big Nashville artists are playing the new Firefly Music Festival in Delaware (July 20-22) , including The Black Keys. – Heath Haynes and the High Dollars will play from 9:00 to 1:00am every Sunday at The 5 Spot. No cover. – Earl Scruggs’ memorial drew a big crowd at the Ryman last night. In pictures here. – Brit soul man Michael Kiwanuka just announced a gig at 3rd and Lindsley on 6.10 at 8 pm. – Taylor Swift won Entertainer of the Year at the ACM‘s. Is that news? – Robert’s Western World‘s April schedule is up. – Dolly Parton was on CNN.